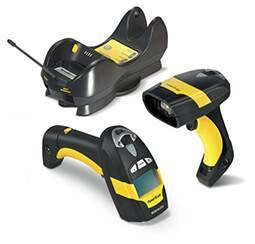 Godex DT2x	DT. 203 dpi. 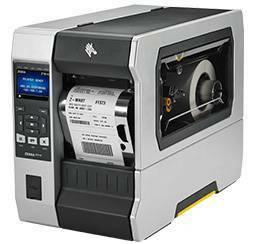 54mm printing width, paper up to 60mm. 177mm/sec speed. 32 bits CPU. 16Mb Ram Memory, 4Mb Flash. Realtime clock. USB, Ethernet and serial RS-232 interfaces. GoLabel program. Peeler or cutter optional. Emulation: Godex, Zebra and Eltron. 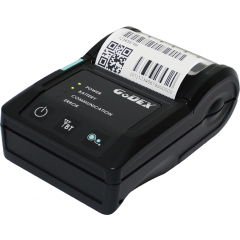 Godex RT230i	TT. 300 dpi. 56,9mm printing width, paper up to 168mm. 127mm/sec speed. 32 bits CPU. 16Mb Ram Memory, 8Mb Flash. Adjustable sensor. USB, USB Host, Ethernet and serial RS-232 interfaces. GoLabel software. Emulation: Godex, Zebra and Eltron. Godex RT700	TT and DT. 203 dpi. 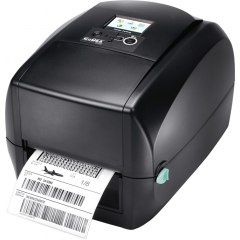 108mm printing width, paper up to 118mm. 127mm/sec speed. 32 bits CPU. 16Mb Ram Memory. 8Mb Flash. Adjustable sensor. USB, Ethernet and serial RS-232 interfaces. GoLabel software. Cutter or peeler optional. Real-time clock. Emulation: Godex, Zebra and Eltron. 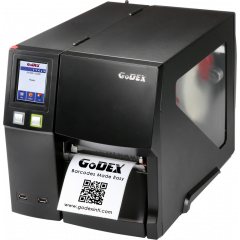 Godex RT730i	TT and DT. 300 dpi. 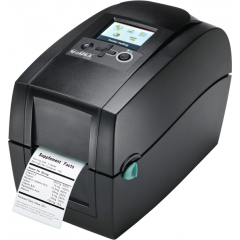 105,7mm printing width, paper up to 118mm. Speed up to 127mm/sec. Color Display. 32 bits CPU. 16Mb Ram Memory. 8Mb Flash. Adjustable Sensor. USB, USB Host, Ethernet and RS-232 interfaces. GoLabel software. Cutter or peeler optional. Emulation: Godex, Zebra and Eltron. 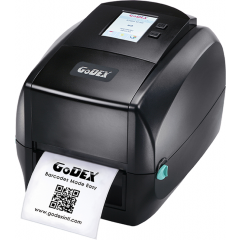 Godex ZX1600i	Version with 600 dpi resolution and speed of 100 mm / sec. Other specifications same as the ZX1200i. 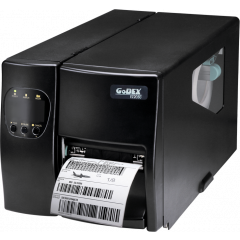 Godex GS220 USB	Reliable and economical laser scanner reads all common 1D bar codes, so it is valid for a wide range of scanning applications. Supplied with USB cable. 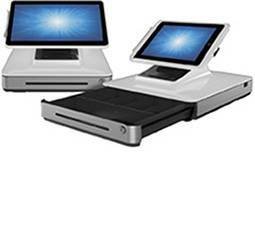 Has optional stand. 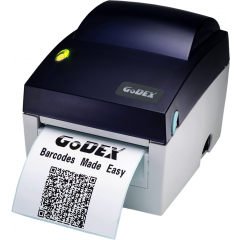 Godex RT230	TT. 300 dpi. 56,9mm printing width, paper up to 60mm. 100mm/sec speed. 32 bits CPU. 16Mb Ram Memory, 8Mb Flash. Adjustable sensor. USB, Ethernet and serial RS-232 interfaces. GoLabel software included. Emulation: Godex, Zebra and Eltron. Godex G500	TT and DT. 203 dpi. 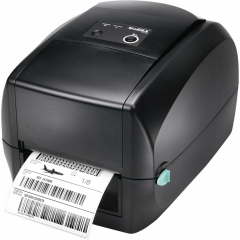 108mm printing width, paper up to 118mm. 127mm/sec speed. 32 bits CPU. 8Mb Ram Memory, 8Mb Flash. Adjustable sensor. USB, Ethernet and serial RS-232 interfaces. GoLabel software. Cutter or peeler optional. Emulation: Godex, Zebra and Eltron. 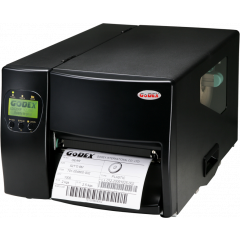 Godex EZPi-1300 TT and DT. 203 dpi. 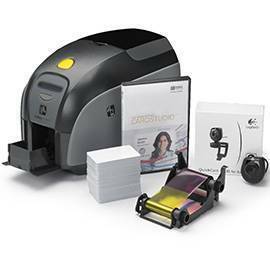 105,7mm printing width, paper up to 118mm. Speed up to 100mm/sec. 32 bits CPU. 8Mb Ram Memory. 4Mb Flash. Graphic display. Parallel, USB, serial and PS2 interfaces. GoLabel software. Cutter or peeler optional. Godex ZX1200i	TT and DT. 203 dpi. 104mm printing width, paper up to 118mm. Speed up to 250mm/sec. Colour Touch Display. 32 bits CPU. 32Mb Ram Memory. 128Mb Flash. Adjustable Sensor. USB, 3 x USB Host, Ethernet and RS-232 interfaces. GoLabel software. Peeler optional. Emulation: Godex, Zebra and Eltron. 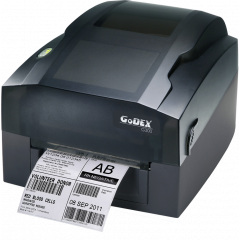 Godex DT4x	DT. 203 dpi. 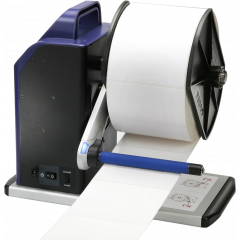 108mm printing width, paper up to 118mm. 177mm/sec speed. 32 bits CPU. 16Mb Ram Memory, 4Mb Flash. Realtime clock. USB, Ethernet and serial RS-232 interfaces. GoLabel program. Peeler or cutter optional. Emulation: Godex, Zebra and Eltron. 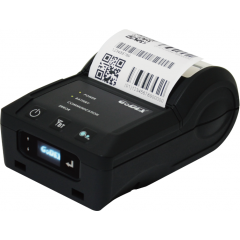 Godex G300	TT. 203 dpi. 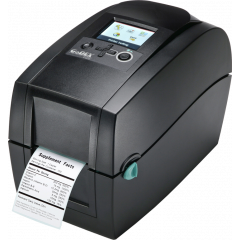 108mm printing width, paper up to 118mm. 100mm/sec speed. 32 bits CPU. 8Mb Ram Memory, 4Mb Flash. Fixed sensor. USB, Ethernet and serial RS-232 interfaces. GoLabel software. Emulation: Godex, Zebra and Eltron. 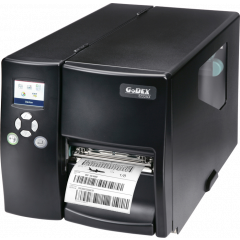 Godex RT730	TT and DT. 300 dpi. 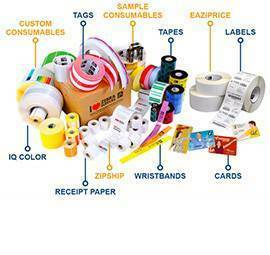 105,7mm printing width, paper up to 118mm. 100mm/sec speed. 32 bits CPU. 16Mb Ram Memory. 8Mb Flash. 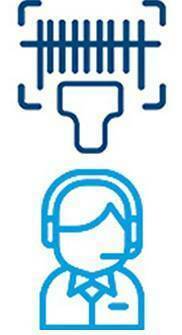 Adjustable sensor. USB, Ethernet and serial RS-232 interfaces. GoLabel software. Cutter or peeler optional. Real-time clock. Emulation: Godex, Zebra and Eltron. 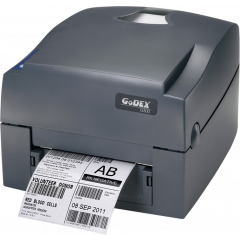 Godex EZ2250i	TT and DT. 203 dpi. 104mm printing width, paper up to 118mm. Speed up to 177mm/sec. Color Display. 32 bits CPU. 16Mb Ram Memory. 8Mb Flash. Adjustable Sensor. 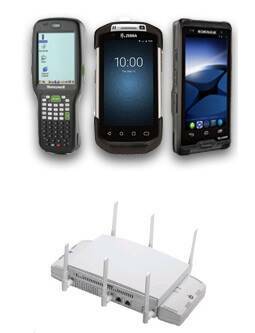 USB, USB Host, Ethernet and RS-232 interfaces. GoLabel software. Cutter or peeler optional. Emulation: Godex, Zebra and Eltron. 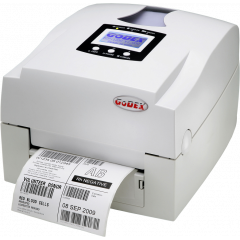 Godex EZ-6200 Plus	TT and DT. 203 dpi. 168mm printing width, paper up to 178mm. 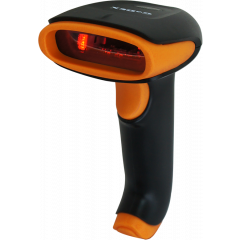 Speed up to 150mm/sec. Metal structure. Backlit graphic display. 16Mb Ram Memory. 4Mb Flash. Adjustable Sensor. USB, Ethernet and RS-232 interfaces. GoLabel software. Cutter or internal Peeler/Rewinder optional. Emulation: Godex, Zebra and Eltron. 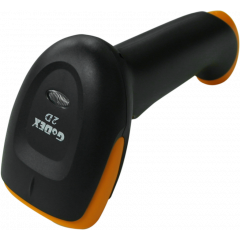 Godex GS550	Imager Scanner reliable and economical, reads all usual 1D bar codes and 2D, so it is valid for a wide range of scanning applications. Supplied with USB cable. Has optional stand. 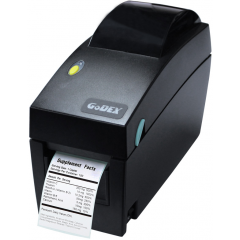 Godex MX30	Paper Width: 80mm. Speed: 100mm/sec. 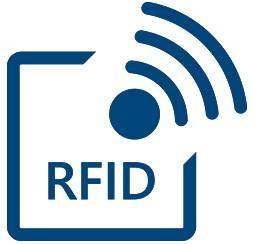 Bluetooth, USB and serial interfaces. 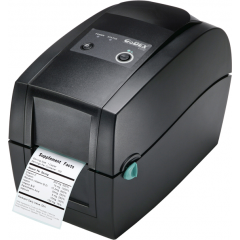 Godex RT200i	TT. 203 dpi. 54mm printing width, paper up to 60mm. 177mm/sec speed. 32 bits CPU. 16Mb Ram Memory, 8Mb Flash. Adjustable sensor. USB, USB Host, Ethernet and serial RS-232 interfaces. GoLabel software. Emulation: Godex, Zebra and Eltron. Logiscenter ist ein Referenzpartner von Godex in Deutschland. Diese enge Partnerschaft erlaubt uns Ihnen die besten Konditionen anzubieten was Preise, Lagerbestände, Lieferungen und technischen Service angeht.